Habitat CNI was pleased to honour a dedicated Rotorua woman with our annual Volunteer of the Year Award at a function over the weekend. 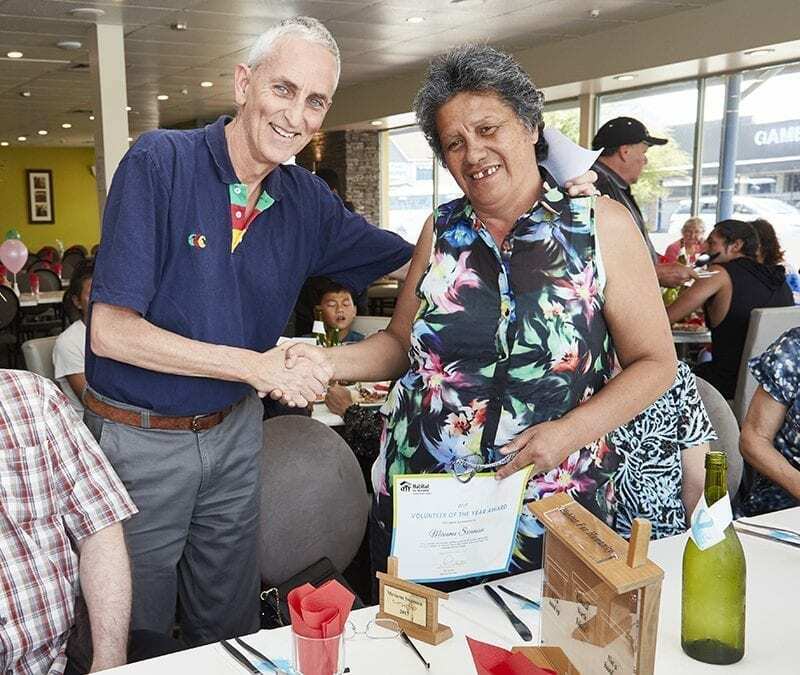 Miriama Swanson (Milly), a volunteer general worker out the back who prepares stock for sale, monitors quality control and cuts rags for the Rotorua ReStore was presented the award by Habitat CNI Board Member Chris Ennor, at a celebratory lunch at a local restaurant. This award goes to a volunteer that has shown selfless service to the families impacted by the work of Habitat for Humanity Central North Island, and in particular, who embodies Habitat’s mission principles. Jenny Hatcher – Rotorua ReStore Manager and Milly’s nominator – said Milly takes great pride in whatever she is doing, is a very valued member of the team and ably supports Jenny and others to help the store be as efficient as it can be. Jenny said Milly demonstrates selfless dedication to the cause, and that she is one of the store’s most reliable and hard-working volunteers. Milly – who said she was surprised to receive the award – said that she has a ‘contract’ to do 15 volunteer hours, and she will do that and more. The Volunteer of the Year Award is judged based on nominations, and can be given to any volunteer, whether that’s through Habitat for Humanity’s construction programme, or ReStore activity. Two trophies with Milly’s name engraved were presented by Chris Ennor, one large trophy to be displayed at the ReStore, and one smaller, personalised one, made for Milly to take home.